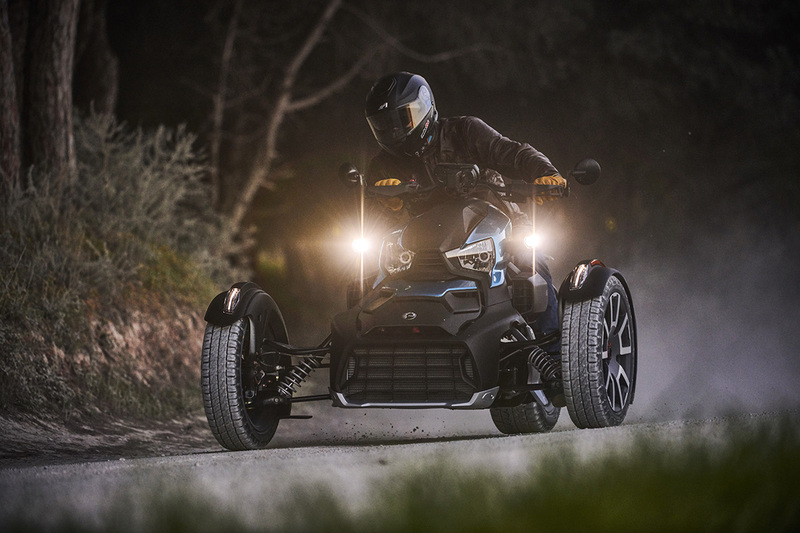 With the launch of the Ryker family, Canadian brand Can-Am have brought a new degree of three-wheeler accessibility. 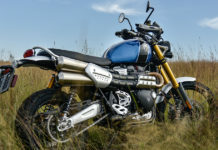 Sporting twin cylinder 600 and three cylinder 900 engines, there is plenty of choice, even more if you consider the Rally Edition which carries some supposed off-road abilities. 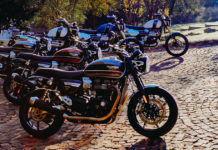 ZA Bikers went to the Algarve region, South of Portugal, to find out more. Three wheels for everyone! 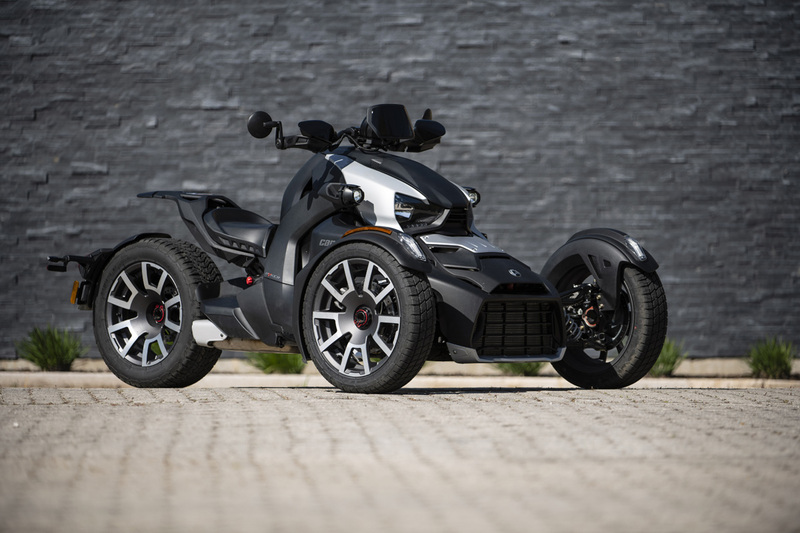 That sounds like a declaration of intent from Canadian manufacturer BRP, and that does make sense when you consider that with the new Ryker range, Can-Am has nearly cut the price by half from the former RT Limited and F3 range. 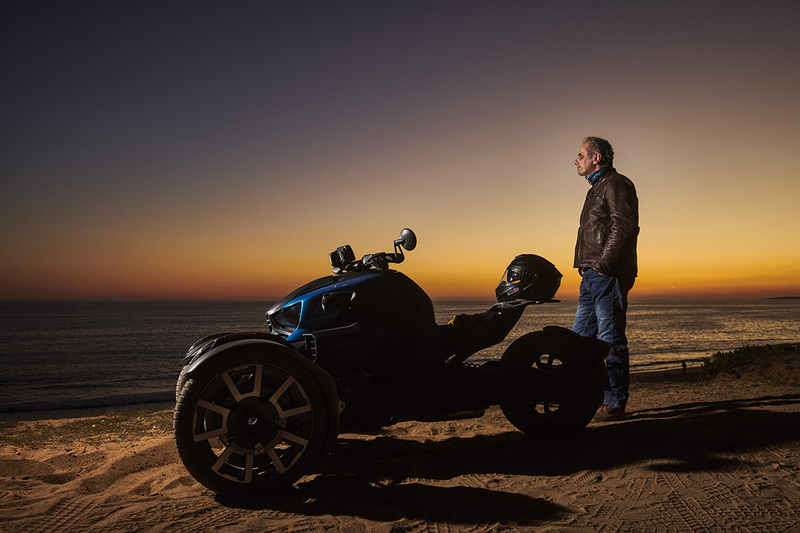 Can-Am wants the Ryker to be extremely accessible, and they are for a number of reasons. Firstly, there is the “no-hassle” sit-and-ride philosophy. The seat is now so low that it can accommodate even the most diminutive riders. Seat height is lower than on most cruisers at 615 mm and the foot-pegs and handlebars are also easy to adjust through a wide range of different positions; no tools required. Secondly in the engine department. The 600 and 900 mills comes from a new generation of “ACE” engines, used in several applications and you can find them on quad bikes, snowmobiles, sea-doos and also side-by-side vehicles. The 600 is good for 50 hp and the 900 delivers 82 hp and 79 Nm of torque, and both come with a CVT transmission: that means there is no neutral, you just roll on the throttle and go. There is a parking brake and a reverse gear, too. 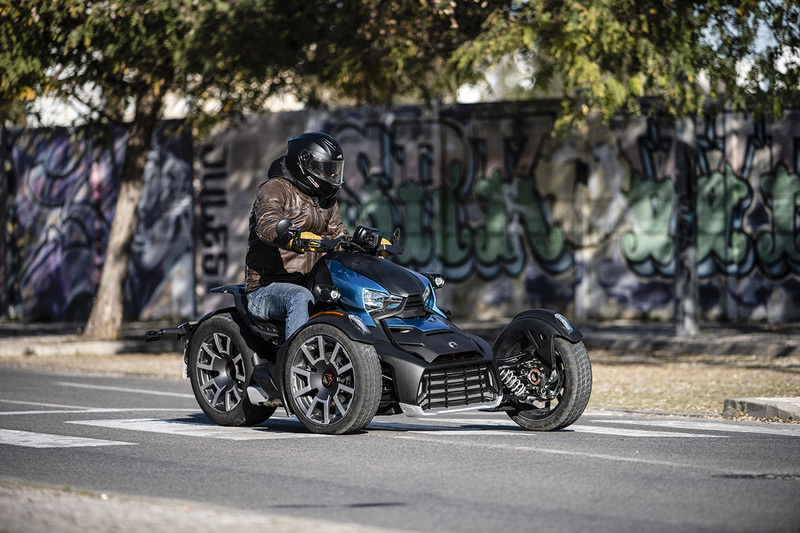 Alongside the Spyder with great touring abilities, Can-Am has designed the Ryker for shorter riders. While you can choose a touring seat, a small windscreen, a top-box and even a pannier (right hand side only, because of the shaft transmission on the left hand side), the Ryker is more an urban and fun vehicle than a proper tourer. 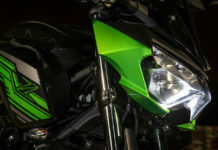 The box located on the front fairing has only a 7-litres capacity, and the inner space is not very regular. And then we have the Rally Edition. It is to the Ryker range what dual-sport bikes are to regular naked bikes, and promises a taste of Adventure! You figure it out with its extra protection (hand-guards, longer mud-guards and a plate located under the radiator) and the standard “Max” extension behind the seat. 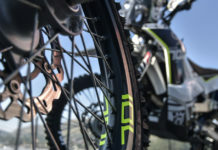 Its wheels are also stronger and fitted with dual sport Kenda tyres, and the suspension is different (Kayaba instead of Sachs units), offering more travel (175 instead of 150 mm), they are adjustable and give a slightly better ground clearance. In the design department, Can-Am offers numerous different combinations, although some of them, in my opinion, might look like a Christmas tree. 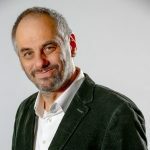 As an example, side-panels can have several colours (three as standard, three as options), and like a fashion designer, Can-Am will create another collection of six colour schemes every six months, that will last for six months only: the bright blue of my test ride unit was one of them. There are not many vehicles as simple to ride. Sit on-board, adjust the ergonomics, enjoy the low seat and the laid-back, relaxed, cruiser-style riding position, plug the “keyless” device on the left side; roll off the throttle “forward”, to acknowledge that you are familiar with the Ryker operational procedure and press the start button. 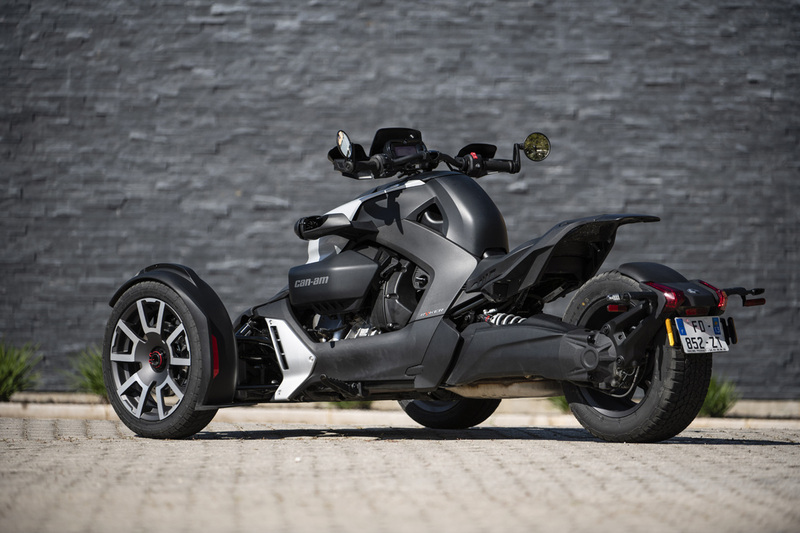 The in-line three comes alive with a deep exhaust note that is so good that Can-Am did not deem it necessary to work on an after-market Akrapovic device, unlike for the F3. Despite its “mid” capacity engine, the power-to-weight ratio is better than on a F3, as its bigger sibling is at least 130 kilos heavier. Add a reactive CVT transmission and it’s easy to get a small burn out when you get hard on the gas at a green robot. As mentioned, the engine note is quite pleasant; that’s a good thing, because the CVT transmission makes the engine quite “present” at all speed. At 50 km/h, you get 4000 rpm, 5500 rpm at 90 km/h, 6000 rpm at the South African legal highway speed. The top speed is claimed to be around 156 km/h (the 600 does only 128 km/h), but it’s more than enough due to the “bike’s” philosophy. On a private piece of road, I managed to reach 165 km/h on the speedo, with no stability issues. Brakes are quite strong, but with a pedal only, they do not provide much feeling (even less when you are accustomed to the Brembo Stylema pieces…), although they do offer very good deceleration when you push hard with your right foot. In corners, it works a bit like a quad bike. You have to counter steer the handlebar towards the corner’s direction, and it surely helps to lean your body to the inside too. 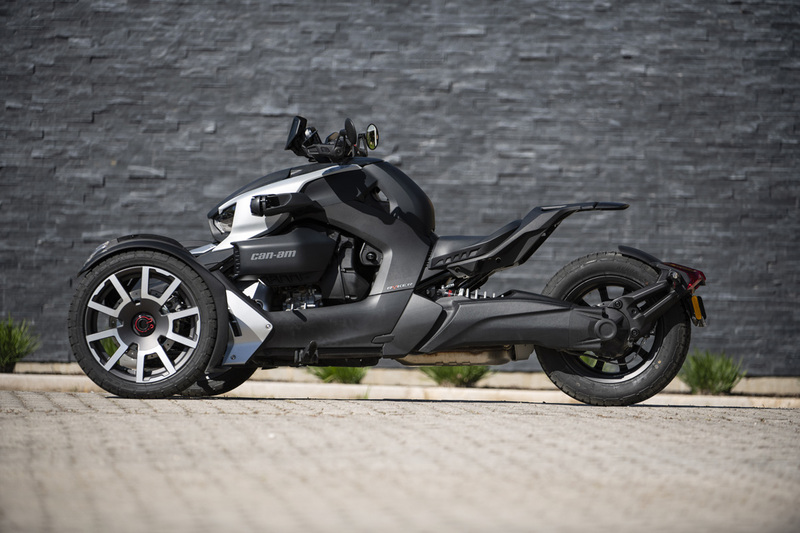 Safety has always been the first keyword for Can-Am on-road three-wheelers (enough to generate a bit of frustration for enthusiastic and experienced bikers seeking for something more playful), but three-wheeler customers need to feel perfectly secure on the road, so… The Ryker is no exception: you can’t really overdo it in corners, as the thing will first start to under-steer, and then it will automatically apply some serious braking on the outside front wheel to keep you on the road. But there is a magic function: the “Rally” riding mode. 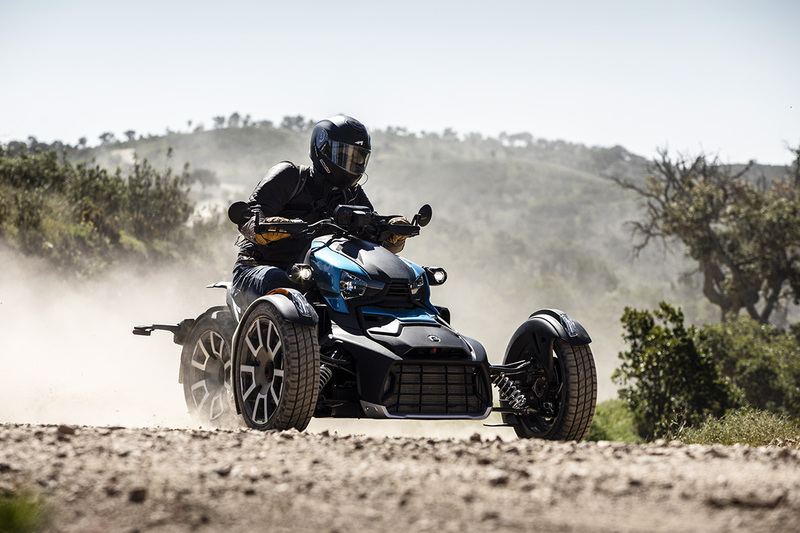 The “Rally” riding mode is obviously specific to the “Rally Edition” and Can-Am says it turns off the traction control to give more fun and more freedom on gravel roads. 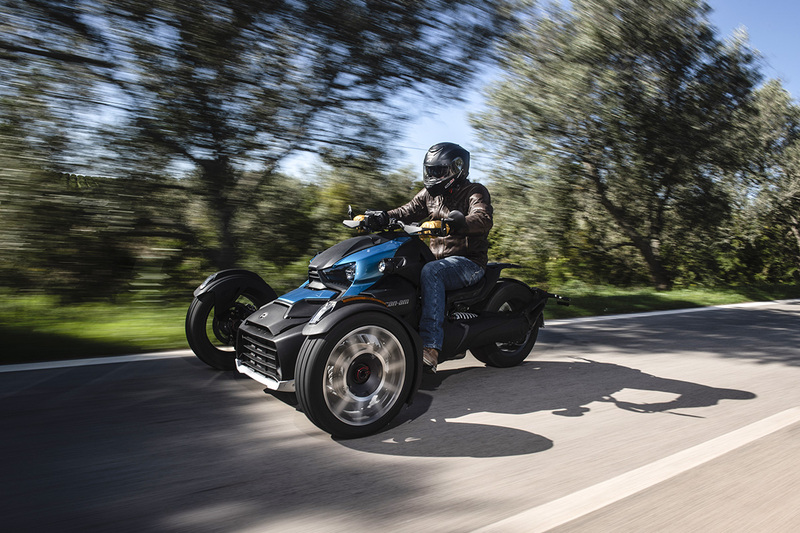 It’s not exactly an accurate explanation: actually, the fact is the traction control system can be disengaged, but it’s all related to speed, once again to cope with the safety issues which are part of Can-Am’s DNA. At a very low speed, you can even do some doughnuts or a proper side-ways U-turn and, in that case, the traction control seems completely off. But if you need to exit some low speed corners, let’s say between 20 and 50 km/h, on gravel, you can also generate some back wheel sliding, which is fun and photogenic too, but then the drift angle will be somehow limited to, let’s say, around 30 degrees, before the electronics take control. And at a higher speed, like over 60 km/h, the electronics does not allow many slides. As the riding position is still “cruiser-like”, you can’t expect to ride standing up, as you have to endure the very same bump three times (one per wheel). Do not expect the Ryker to be a substitute for your KTM 950 Super Enduro or anything equivalent. 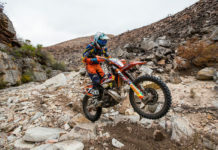 Off-road abilities are quite limited, but, somehow, they are also there and will definitely be great fun to anyone who has never experienced any two-wheel thrills. 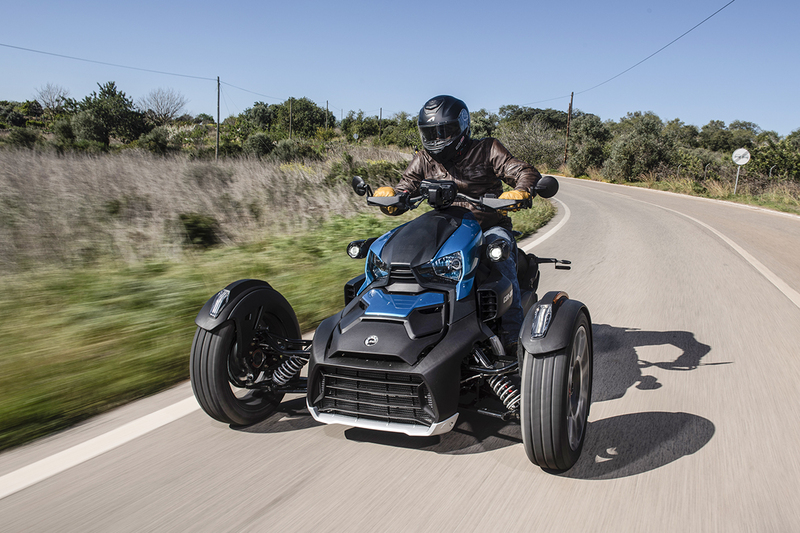 There is no doubt the Can Am Ryker is a very interesting piece of kit to put new generations of riders on the road. I intentionally did not even want to enter the “bike-or-not” debate. On a Ryker, you hold a handlebar, get some wind into your face, enjoy the road and the same biking brotherhood, and since the invention of motorcycling, these are the three things that unite bikers on machines as diverse as the BMW HP2, Ducati Panigale V4R, Royal Enfield Diesel or 1931 Henderson 4-cylinder! So, welcome Ryker! Next articleThe 2019 Husqvarna Svartpilen 701 – First Ride Impressions!